10 acre ocean front lot on the Caribbean Sea in Colon, Panama. This lot is titled! That means you own a deed that is publicly registered in the Registry of Panama. 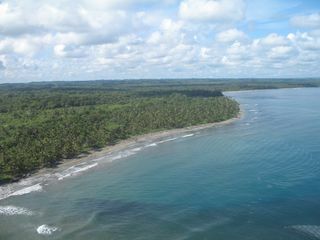 Salud is located onPanama’sCaribbeanCoast, 1.5 hours fromPanama Cityand 1 hour West of thePanama Canal. 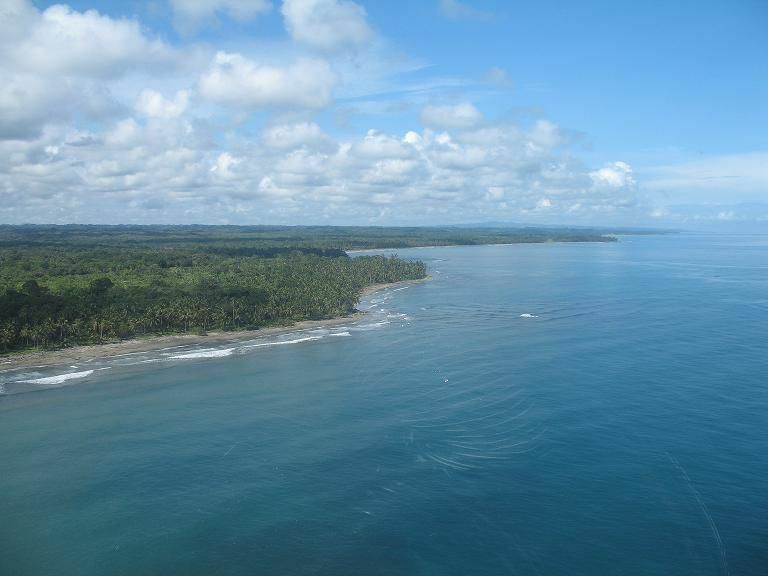 It is close to the cruise ports and the transcontinental train connecting the Pacific and Caribbean. When the new Gatun Locks Bridge, (currently under construction), is finished, it will take 1 hr. from Panama City to this outstanding property. Total Area: 38,806 Sq. Mts. Beach Frontage: 820 lineal Feet = 250 lineal Mts. Breathtaking Location next to 1000 Hectares destined to be one of the most important tourism projects in Panama! Water, Electricity and Telephone Utilities serve the area. Close to Panama City and Airport. 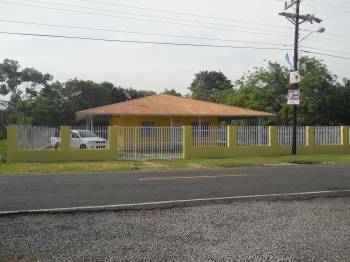 When the new Colon – Miguel De La Borda Highway is finished, the driving time from Panama City to Salud will be approximately one hour. The Panamanian Government has set tourism as one of its main priorities and has allocated significant resources towards this goal. On top of this, numerous fiscal incentives are available to those investing in hotels, marinas and tourism related activities in theRepublicofPanama. Note the limits of the METROPOLITAN TOURISM ZONE, designated by the Panamanian Tourism Bureau as ZONE 5 and extending to include Los Uveros, Salud on the Caribbean. 49rs route across the Isthmus – Trans-isthmian train. 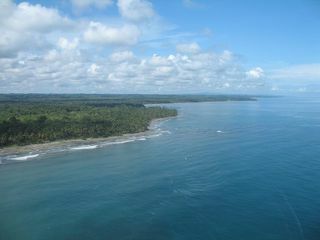 Serving private and charter flights in France Field, 15 minutes from Gatun Locks. At present the driving time from TocumenInternationalAirportis one hour thirty minutes. When the new, (currently under construction), Gatun Locks Bridge is finished, the driving time from Panama City will be about 1 hour. Serving between Panama City and Colon City over what is known since the California Gold Rush as the 49rs route. Recently put in service by Kansas City Railway, this train ride is world class and offers magnificent scenery. It was rated as the best new tour among Cruise lines in the Caribbeanin 2002. 1 hour from Los Uveros are the cruise terminals. Over 160 cruise ships are currently calling at the cruise ports inColon. Arrivals keep incrementing. Cruise Lines include Princess, Norwegian, Carnival, Celebrity, SilverSea, Royal Caribbean. The cruise terminal includes a big supermarket as well as shops offering products ranging from electronics to Cartier watches and Gucci handbags. Additionally, a new shopping center,MilleniumPlaza, is under construction and will include a Sheraton Four Points Hotel. 1 hour away isPanama City, boasting plentiful retail shopping opportunities in numerous malls including the newer malls of MultiCentro, Albrook, and Pacific Mall. Over 1,400 pleasure boats cross the canal every year. Additionally, to the East is the San Blas Archipelago, which with its 365 + islands and cays is the ultimate sailing paradise to even the most seasoned skippers. The entire region abounds with outdoor recreational opportunities. 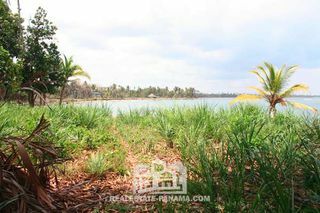 Starting with the main attraction, the calm waters of theCaribbean, to fresh and saltwater fishing, rivers and lakes for kayaking, scenic pastures apt for horseback riding, hiking trails in the forest, and bird watching. The list goes on. Vulcan Reef (Panama’s top fishing spot on itsCaribbeanside). 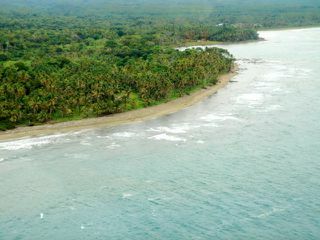 Panama’s weather in general consists of two main seasons: the rainy or green season and the dry season. The rainy season covers May through December, while the dry season covers January through April. Some of the most beautiful sunny days by the beach can be experienced during the green season, as wind speeds are at their lowest levels and the sea is at its most calm, creating a blue lagoon seascape. UnlikeFloridaand other Caribbean regions,Panamaexperiences no hurricanes. With the right infrastructure,Panamais a perfect southern shelter for yachts in theCaribbean. No seismic activities in thePanama Canalarea have been recorded. Tidal changes: Average of 1 ft tidal changes. Contrary to tidal behavior in the Pacific, where tides can reach differences of up to 18 feet between highs and lows, theCaribbean tidal changes are not usually greater than 1 or 2 feet.